To acccess article links which have moved, paste article title or non-functional link into search engine. 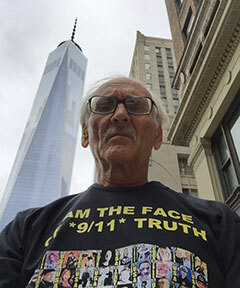 Is Congress ahead of the Left on 9/11 Truth? Did Saudi Prince Bandar give chemicals to his guys in Syria to plant where Assad's shells may hit, thus casting blame on Assad and bringing the U.S. into the war so Saudi Arabia can put an oil pipeline through Syria to Europe? "This war on terrorism is bogus"
Corporate dictatorship belies myth of "U.S. democracy"
Be a Whistle Blower: Help Save Humanity!